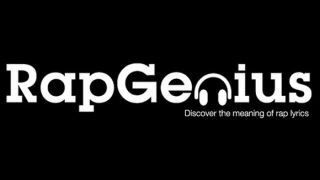 It came to light this week that the lyrics site Rap Genius was embarking on a large-scale SEO abuse campaign, and now Google has struck back against the site's practices. Rap Genius was inviting other sites to becomes "affiliates," which meant essentially loading articles and blog posts up with SEO-friendly links that Rap Genius would then tweet out. The lyrics site promised these other sites "MASSIVE traffic" for their trouble, but when tech blogger John Marbach exposed the "affiliate" campaign Google wasn't happy. Now Google has struck back by destroying Rap Genius's search rankings, essentially setting the site back to square zero. Rap Genius apologized on December 24, saying in an open letter to Google, "[We'll] discourage things like this in the future. We are also getting in touch with the relevant site owners individually to request that they remove any such links. Just to be clear, this is an not a widespread practice, and it should not be too difficult to stamp out." Co-founder Ilan Zechory added in a statement to TechCrunch, "We messed up here, which is why starting today we are 100% focused on the SEO strategy that has gotten us the best results: building an amazing product and community." But apparently that wasn't enough for Google. Google webspam team head Matt Cutts said the search company was investigating Rap Genius, and now it's taken action. Google search queries that previously brought up Rap Genius now don't, and even searching the site's name directly doesn't bring up a link to it on the first page of search results. In fact, you have to travel to the fifth page just to find the actual website. The two companies are reportedly working on a resolution.